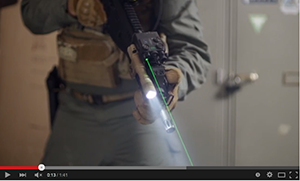 The SBAL-PL is a compact pistol light offering a visible green laser and a 500-lumen white light LED. The green laser technology offers better visibility and greater stability over a wide range of temperatures. SPECIAL DEAL: This is available for $399.00 directly from Steiner. Click store button below. SBAL-PL is rated 5.0 out of 5 by 5. 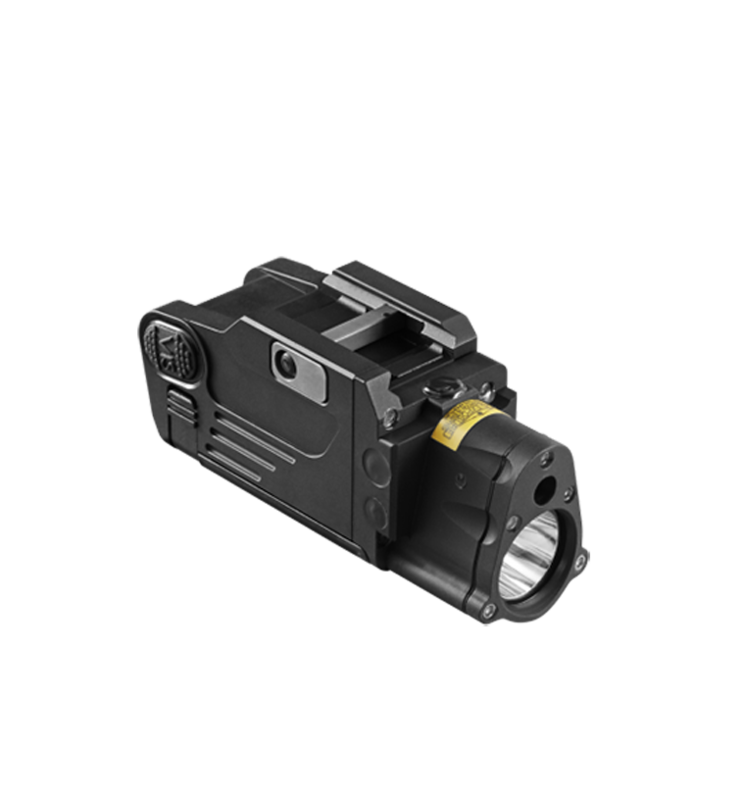 Rated 5 out of 5 by chadar15 from Excellent pistol laser/weapon light I have this unit for approximately a month, so i cannot speak to its longevity yet, however, this unit is mounted to my duty weapon, which is used for primarily for night shift and warrant service. I've been a police officer for 23 years and have tried every Weapon light there is. 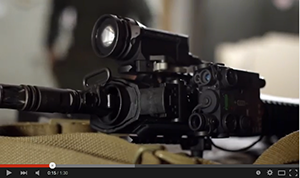 Streamlight, Surefire, Lasermax, etc. They all serve their purpose, but the Steiner SBAL-PL has the most powerful laser module I've ever seen. Additionally, the white light is a perfect flood with no hot spot. Bottom line, best weapon light I have ever used. Rated 5 out of 5 by Brad S from Great Accessory! I own light laser combos from Crimson Trace, LaserMax, Streamlight and Surefire and this is by far the best of the bunch. This is a pro grade device and will last a lifetime and beyond. The price is higher than some of the competition, but you definitely get what you pay for. I will be buying another, but will be waiting for the Gen 2 with the programmable switch. My Gen 1 works great, but the programmable switch will be even better. Rated 5 out of 5 by Gumavarie from Highest quality pistol optic to date I have owned Surefires, Streamlights, Viridians... I've used the Inforce APL. None of these come close to the quality of the SBAL-PL. The entire rail attachment is metal, the light uniform and the laser is positioned at the top of the unit which is a huge plus. Well worth the money. The SBAL-PL is in a class all it's own. Will this fit on a HK 45C? If your version has a picatinny rail, it will fit. If it has the proprietary rail, you would need an HK to picatinny adapter to get it to work. Are there any holsters made yet to accommodate the SBAL-PL mounted on a Glock model 22? Unfortunately, I have no information on whether holsters have been made to fit firearms with these devices attached to them. However these days, custom Kydex holsters are high-quality and many holster makers can fashion a durable, custom-fit holster for any firearm, to include those outfitted with attachments such as this. Can i Get a Pressure switch for this light so i can run it on a Kriss Vecter SBR? At the NRA show this year, we release our new SBAL-RL. The RL version is the same at the PL, but it has the ability to use our pressure switch. It is scheduled for production in October this year. Will sbal fit colt m45a1? Can battery be changed without removing from pistol? How can i verify the unit i purchase is a version 2 that has the improved features? Thanks. We don't have a Colt M45A1 in our inventory (I wish we did), so we can't test it. We do have other 1911's with a picatanny rail like the Colt, and the SBAL-PL fits on them just fine. Yes, the battery lid is on the bottom of the unit, and can be opened when mounted. The new version of the SBAL-PL has not shipped from the factory yet for commercial customers, so your unit should be the original unit. How many different modes of operation are made into the SBAL? &nbsp;Specifically looking for a Light-Laser, Light-only, Laser-only option set. &nbsp;Thanks! At the NRA show this year, we released out new SBAL-PL&reg; v2. It features fully programmable switch functions for single tap, double tap, and press and hold operation. The SBAL-PL&reg; v2 also have five programmable and independent dimming levels for each laser and illuminator. This new version is scheduled for production in October of this year. The SBAL-PL has two operating modes. Mode 1 is laser only: Press either button once, and the laser turns on. Mode 2 is laser and light: Press either button twice, and the light and laser turns on. This is set into the software, and the user can not change the modes. What are the dimensions of the unit and how much rail length does it use? On page 3 of the SBAL-PL Technical Manual, it states &quot;WARNING DO NOT store the SBAL with the battery installed&quot;. Can you please elaborate? As an end-user, what dangers may occur? We recommend not storing anything long term with the battery inside, as they may leak an damage the product. Also, most lasers experience slight parasitic battery drain.